Allow Grandmaster Aveskulov to assist. He has put together a sound but ultra-aggressive repertoire based on gambits that have proved their worth in grandmaster play over many years. The Benko Gambit is dreaded by many 1 d4 players. Black gets very active piece-play, and even if White reaches a pawn-up endgame, he is often shocked to find he is worse due to Black’s intense positional pressure! If White avoids the Benko, that’s when we hit him with the Blumenfeld, sacrificing a pawn to set up a strong pawn-centre and attacking chances. 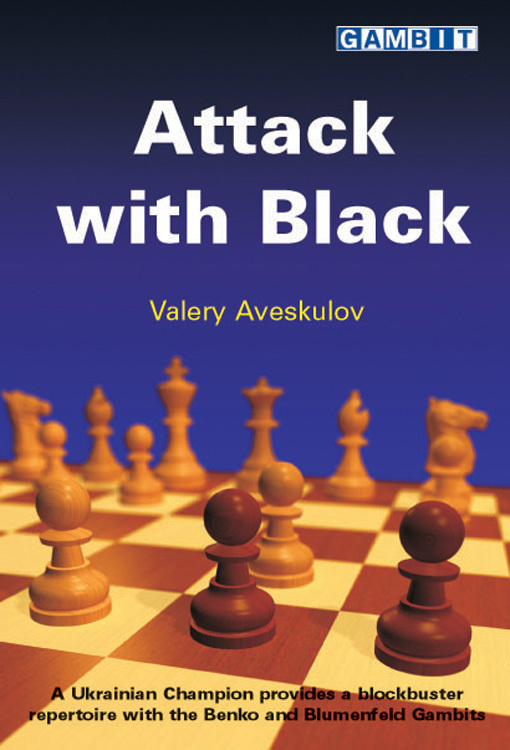 Aveskulov examines all of White’s options and move-orders after 1 d4 Nf6, and shows an aggressive reply to each of them. He is never willing to take existing theory on faith, and throughout the book presents an extraordinary wealth of new analysis and ideas. He also explains typical plans in depth, so you will always know how to turn the screw once you have your opponent on the run. At the age of 21, Grandmaster Valery Aveskulov won the championship of Ukraine, one of the world’s strongest chess nations. He has represented his country in junior and team events, winning three medals in 2008 at the World Sports Mind Games in Beijing. He is an experienced trainer, and has acted as a second for the top-class grandmaster Alexander Moiseenko.